It was at a relative's wedding that I met Mrs. and Mr. Sridharan. We were neighbors' years back and hadn't kept in touch. But we recognized each other instantly and got chatting to cover up for lost time. Mr. Sridharan told me that they had recently booked a house in a Senior Living Community in Chennai. I was surprised since I knew that they already had a nice house in a good area of Chennai. Mr. Sridharan explained that a year a half back when they had returned to their hometown, they had thought it would be easy settling back in. But in fact, there had been some unexpected challenges! Before they could go further, I asked them about their children. They told me that their son, Sundar, had settled down abroad and their daughter Aditi lived with her husband and family in another town at the other end of the country. The Sridharan were firm in their intention of managing everything on their own without disturbing their children who were busy managing their own family and career responsibilities. Mr. Sridharan continued, "It took longer than we expected to settle down. I tried not to let it get me frustrated! But if one thing got sorted, another problem would crop up. We had retired with comfortable resources and reasonably good health. We were looking forward to a comfortable, active life. We had thought we would enjoy every moment of our retired life with friends or on our own, doing all that we enjoy. But all our time and effort was being taken up by just the process of trying to settle down. And we were lonely and bored. People around us were busy in their life. It was a nightmare to even think of taking a break and going out, braving noise, pollution, and traffic, to visit someone or take in a movie outing." In the midst of all this, Mrs. Sridharan had a health setback. Fortunately, she is fine now, but the experience got them to re-think their options. They asked themselves - what do we really require at this stage of our lives? We want the ease of living life with someone reliable to handle the day to day maintenance of housekeeping and cooking - Mrs. Sridharan deserved as much of a break from work as her husband! We want the ease of having like-minded friends near-by to share good times and get-togethers, joys, and sorrows. We want the security of knowing we are safe and have access to medical facilities, health checks, and a healthy lifestyle. In other words, everything that will help us lead the active, independent and enjoyable lifestyle that we dream of and deserve after having fulfilled our responsibilities to our family. It was this thinking that made them realize the value of Senior Living places and after some research, they selected Ashiana Shubham Senior Living located in Maraimalai Nagar, Chennai. Impressed by what they told me, I researched further and learned that the Senior Living concept had become popular in India. Companies with experience in this sector are offering many facilities to lead independent, worry-free lives post-retirement. Tie-ups with hospitals, fun-filled activities and dining facilities are helping seniors lead much healthier and more invigorating lives. Ashiana Senior Living Lavasa customers. Ashiana Shubham at Chennai, for instance, keeps you away from the hustle-bustle and pollution of the city, yet is close enough to a major hospital with which it has a tie-up. It is surrounded by trees and has a beautiful clubhouse that will offer myriad activities and games. The dining hall will serve vegetarian menu. Cleaners and maintenance staff will look after your home. A look into the lifestyle and experiences of those residing in Ashiana's other Senior Living projects tells us how their lives have improved after becoming a part of a senior living community. So, the life Sridharans dreamt of can actually come true! And perhaps that is where I will be heading too. I am76 & my wife 70yrs.our general health is good lively place to live pl.send your details and the . amount it would cost for both.of us. Thank you for showing interest in Ashiana Shubham Senior Living Chennai, we have 1, 2,3 BHK in the price of Rs 28 lacs- Rs 72 lacs. We have trial stay facility available where you can stay and experience the life before buy, for trial home bookin and other assistance our executive will contact you shortly. Thank you for showing interest , at present we do not have project in Madurai. Please share your resume on hr@ashianahousing.com, you will get a call if some vacancy matchas the profile. What is the cost of a dwelling ? What are the recurring expenses incurred in a month ? The monthly maintenance charges at Ashiana Shubham are Rs. 5 per sq ft , this cost inclusive of taxes. Other than of this if you want avail meal option the daily meal charges are Rs. 150 per person per day. The meal includes Breakfast, lunch, dinner and tea/cofee 2 times a day. For further details our executive will contact you shortly. We do have our project in Lavasa which is 1 hour from Pune.We have villas and apartments in this project.This is ready to move in project and 100+ families are already residing. We have an option of Trial stay as well wherein you can stay for few days and get to know about the lifestyle our senior living communities provide. You will have to reach Chennai.From there we can pick you and take you to the site.Its the right time to visit as site has taken its shape and occupancy has already started. You can also meet the residents and know about their experience at Shubham. Our team will get back to you and confirm for date on which you want to visit the site. Great concept of independant , safe , secured and peaceful living among like minded people. Would like to know the present cost of 1 and 2 BHK flat in ashiana Chennai and other places like Bangalore, Mumbai, Ernakulam. Can we rent the same after purchasing as I am still working and come to stay there later. What is the monthly maintenance cost after purchasing a flat in ashiana. What facilities does the maintenance cost cover. Are regular medical check ups available if so the costs involved. Thank you for showing interest, please schedule your visit and contact us for further assistance. Yes Mr.Nagajyoti. And more and more seniors are choosing to live a carefree life after their retirement.They have fulfiiled their responsibilties and now want to lead a independent life. Thank you for the appreciation. More than 75% construction has been completed at Ashiana Shubham Senior Living in Chennai, plan a site visit to know more about the project and amenities. Thank you for showing interest. Ashiana Shubham Senior Living is located in Maraimalai Nagar Chennai. To know more about location and surrounding we have a Trial home facility available where you can plan a stay. For trial home booking and site visit our executive will contact you soon. Any projects in Rajkot, Vadodara or Porbandar? Thank you for showing interest in Ashiana Senior Living, in present we have projects in Bhiwadi(NCR), Jaipur, Lavasa and Chennai locations only. More than 1600 Seniors are currently residing & experiencing an active and independent life in Ashiana Senior Living projects. For any other assistance our executive will get in touch with you. Thank you for showing interest for Ashiana Shubham Senior living in Chennai. Mr. Amalraj-9791002994 will assist you further about the project details and also help you to plan a site visit. Thank you for appreciation, we have 2 & 3 BHK are available in Ashiana Shubham at the cost of Rs.45.36- Rs.64 lacs. Our executive will contact you further for site visit and other assistance. Thank you for showing interest, Ashiana Shubham is located in Maraimalai nagar Chennai with option of 2/3 BHK apartments. Project comprises senior friendly designs and facilities along with medical support for emergency handling.To take an idea about location you can plan a trial stay in our trial home, for further assiatance our executive will contact you soon. Our executive from Chennai will get back to you.He will understand your requirement and assist you accordingly. i need future support in my life.nobody can for me if u unterested can help me peoples please. Thank you for enquiring, we have Ashiana Shubham, senior living located in Maraimalai nagar Chennai. The project comprises senior friendly designs along with the central dining hall ,housekeeping services, availability of a nurse and an ambulance within the complex which lead worry free life post retirement. Our executive will get in touch with you for further assistance. pl contact in chennai any thing available. Thank you for showing interest. Our project Ashiana Shubham, senior living is located in Maraimalai Nagar Chennai. We have 2/3 bhk apartments available in a gated project with club house , sports facilities, park,kids play area etc. For further assistance contact Mr.Udhay-9884488113. I'd like to know the details of registering for senior living. Do you have a branch in a cooler place like Mysore, Bangalore etc. Thank you for showing interest in Ashiana Senior Living.If you are looking for a cooler place currently we have one Senior Living project in hill city Lavasa near Pune,weather remains pleasant there throughout the year.Presently we do not have Senior Living project in Karnataka but we do have a running project in Chennai. Thank you for sharing, our executive will call you soon to understand your requirements, accoringly he will assist you further. We do not have Senior Living project at Tilangana in present. The article is quiet satisfactory. Would like to know what may be the payment to be made for a shelter of a senior couple. Thank you for showing interest, our executive will contact you to understand your requierement and assist you further. You are most welcome for the site visit, you can also avail the Trial Home facility to understand more on location and the concept. We do not have project in the mentioned location. Thank you for showing interest, our sales personnel will contact you and assist with all details. Thank you for showing interest, our sales personneli will mail you details of the project. I am happy to note that all your projects are doing fine. Have you got any plans to start senior living homes at Coimbatore, Tamilnadu? Thank you for the appreciation and your query but we don't have any plans currently for starting a project in Coimbatore. Hats off you ashianahousing. Once before ten or fifteen years this was my ambition to set an old age home. But it was not possible to then due to my family situation. Now I am going to retire from service this month end. Really I am happy to read this occasionally. Is it possible to set these type of living group in semi urban areas far away from Chennai? How much it costs initially? Thank you for sharing your comment with us. Thank you for the appreciation sir. Are you interested in knowing more about our senior living projects? Our team can get in touch with you to share more details regarding it. We are happy that you found the content good to read. iam retired from defence service. I would like to know about the Chennai maraimalai nagar project. Thank you for your kind words and sharing your interest with us. We have a senior living project in Chennai called, Ashiana Shubham. It is located on Off GST Road, Govindapuram, Maraimalai Nagar, Tamil Nadu - 603204. The price of 2/3 bhk flats ranges from Rs 45.36 lakhs - Rs 64 lakhs. Ashiana Shubham has got the facilities of our senior living projects, which include a 30,000 sq ft club house with facilities like gym, swimming pool, dining hall with pure veg food, TT room, billiards etc.. The project has other amenities keeping in mind the needs of seniors like 24/7 security surveillance with guards and CCTVs, emergency care with 24*7 ambulance services, anti skid tiles, emergency response system in the project and flats and much more. it looks ASHIANA is suited for us as well. Would like to have more details please. Nice. Is any trial home available in Ashiana Shubham? Sir, we do have an apartment in Shubham, where you can stay and get experience of the project. You can contact our Sales exectuive Mr Amalraj -08110095733 for reservations. It is comfortable​ & joyfull. Is there any other way we can assist you too? Looks like I'm reading my own dream and my imagination. I always wanted to do that. And I'm still willing to work for senior citizens. I'm glad that some one is able to make it reality. I want to involve with you guys as a part time because this will give me inner satisfaction more than the coding jobs. Thank you for contacting us. How can we assist you? I feel this Chennai project is much better than many others I have heard/contacted. Though I am yet to visit any. My only needed answer is, how safe this area is, as the area during 2015 Dec floods was affected with a lot of water flow affecting many software offices too, in addition to others areas. Thank you so much Mr Subramniam for writing and appreciating our AshianaShubham senior living project in Chennai. During the last flood which was not a normal one, surrounding areas were affected due to the good no. of lakes. but there was no impact as such of flood inside the project, which is in a 45-acre area. Around 70 families were residing at that time also inside this complex and didn't face any major hassles. Even many of us who were residing there as well as working in Ashiana went to the nearby areas to support others. To know more about the specific details of the projects, you can get in touch with Mr. Uday Pratap, Assistant Manager, - 9884488113. Looks like an exagerated old age home. Only good for people who do not want any responsibility in bringing up their grand children. We would like to say that the seniors who purchase a home in our senior living projects take a decision on their own in consultation with their children, where they decide that they want to spend an independent lifestyle. It's not also that their children and grandchildren aren't allowed to come over to their homes in senior living projects. Most of them are spending time with their children and grandchildren on weekends. The concept is very good as far as handsome income group is concerned. Thank you for your comment. We would like to inform you that many of the customers, who have booked with us are from middle income group . We would also like to inform you that we have many payment plans available which can make it easier for you purchase a flat at Ashiana Shubham. Thank you for your query. Ashiana Shubham is our senior living project, which is located on Off GST Road, Govindapuram, Maraimalai nagar, Tamil Nadu - 603204. The price of 2/3 bhk flats range from Rs 45.36 lakhs - Rs 64 lakhs. Ashiana Shubham has got the facilities of our senior living projects, which include a 30,000 sq ft club house with facilities like gym, swimming pool, dining hall with pure veg food, TT room, billiards etc.. The project has other amenities keeping in mind the needs of seniors like 24/7 security surveillance with guards and CCTVs, emergency care with 24*7 ambulance services, anti skid tilles, emergency response system in the project and flats and much more. Thank you for your comment. We would like to inform you that many of the customers, who have booked with us are from middle income group. We also would like to inform you that we have various payment plans which can help you in making easier payments for your dream home at Ashiana Shubham. Kindly let us know if you would like to know amout it more. Congrats for a n aptly timely needed Housing projects for seniorcitizens. I wish to know the price of 1 BHK and 2 BHK APT or a single house in Ashiana housing Maraimalinagar Pl. Thank you for your comment. The 1 bhk flats are sold out in Ashiana Shubham. The 2bhk flats are available and their prices are between Rs 45.36 lakhs - Rs 54.23 lakhs. Can you send complete details of your completed and upcoming projects in Chennai and other parts of Tamilnadu? We have got one project in Tamil Nadu, i.e., Ashiana Shubham in Chennai. It is located at Off GST Road, Govindapuram, Maraimalai Nagar, Tamil Nadu - 603204. We have 2 and 3bhk flats available there and the price for them ranges between Rs 45.36 lakhs - Rs 64 lakhs. 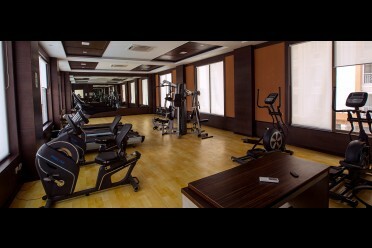 Ashiana Shubham has got a 30,000 sq ft. big club house with facilities like gym, swimming pool, dining hall with pur veg food, squash, indoor badminton, billiards and many more. Apart from this Ashiana Shubham has got all the features of our senior living projects like 24/7 emergency medical care facilities, CCTV secured complex, arthritis friendly fittings and handles in home etc.. Thank you for showing interest. Our Executive will call you and give all the details regarding the project. Thank you for sharing your thoughts, you can avail our Trial home facility to experience the life at Senior Living with our residents. We have Trial homes available in Bhiwadi, jaipur and Lavasa.